Work at this project started in may 2012. 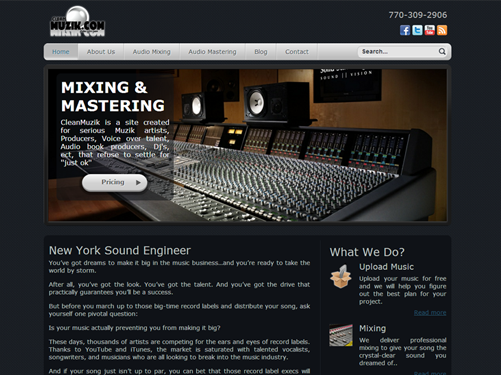 We have asked to create simple, stylish, good looking website, for music mixing and mastering studio, based in New York. Tasks set to us were pretty understandable. We had to present website, which had to meet such goals: ability for customers to upload music through website, for potential clients to get familiar with pricing and specification of their work. As a CMS system we used WordPress and wrote plugin for music sample upload feature.